We receive many truly valued testimonials from our customers over the years which you can see some of them featured here on our website. 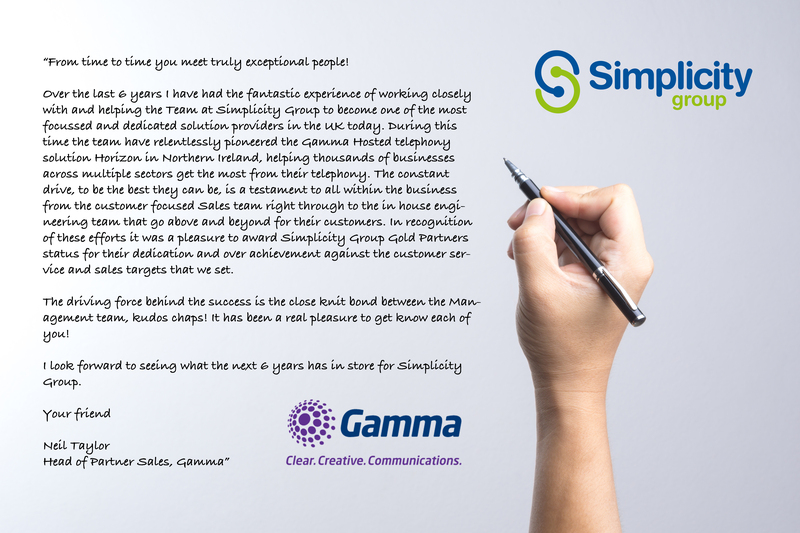 We thought we’d also share this wonderful testimonial from our premier telecom partner ‘Gamma’ recognising our achievement as the pioneer and leading provider of the Horizon Hosted Telephone System in Northern Ireland. Simplicity Group are also the largest Horizon partner in Northern Ireland and first to be awarded Gold status.